Ask most anyone in the city, and you’ll soon learn that the Jordaan District is one of Amsterdam’s trendiest neighbourhoods – filled with amazing culinary and cultural experiences. But, this wasn’t always the case. The area has a rich and storied history that dates back to the 17th century, when the Jordaan District was developed for the working class and then later gained popularity for its radically-left politics and even became home to some occasional riots. Though the neighbourhood is now one of the most upscale areas in Holland, it’s entirely unique for its mix of families who have lived there for generations and more recent upper middle class residents. This district – which is situated to the immediate west of Centraal Station and arches its way around the Canal Ring – now also boasts some of the city’s most notable galleries, eateries, specialty stores and markets. Stroll the maze-like streets and imagine charming, out-of-the-way gardens (known as “hofjes” in Dutch) often hidden from plain sight as well as cozy cafes and vibrant outdoor markets. In fact, the neighbourhood is particularly known for the Antiek Centrum Amsterdam – Holland’s biggest indoor antique market. The market offers more than 50 antique dealers who offer an ever-evolving and impressive array of 17th, 18th and 19th century antique items – such as chandeliers, silver, tableware, military objects, Murano glass, toys, paintings and much, much more. Plus, it’s all under one roof occupying nearly 20,000 square feet of space. Or pop into the Noordermarkt – an eclectic flea market on Monday mornings and an organic farmers’ market on Saturdays, where you’ll find everything from antiques and jewellery to clothing, art, rare books, household items and more. Plus, there’s the organic food – including, fresh fruit and vegetables, cheese, herbs, pastas, olive oils and other culinary fare to enjoy. Venture outside the market area, and you’ll be surrounded by lively cafes and bars. 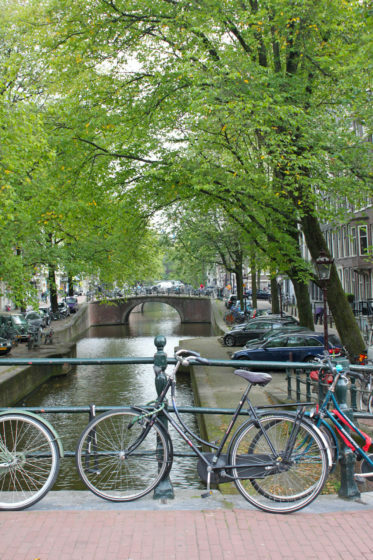 Indeed, the Jordaan is considered by many to be a culinary and cultural hub – with plenty of places to drink, eat, feast, shop and get cultured around nearly every corner. Throughout its long history, Jordaan has also been home to some of the world’s most famous individuals. 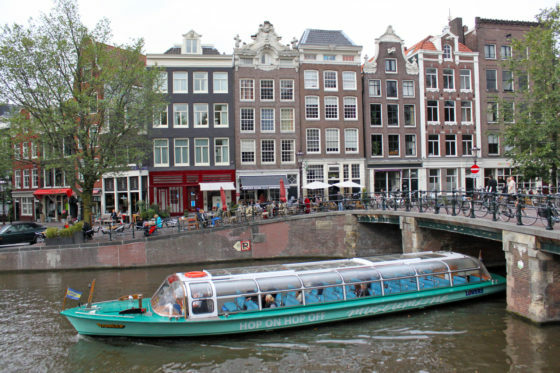 Rembrandt made the Jordaan his home in his remaining years; the Anne Frank House, where Anne Frank went into hiding during the Second World War, is situated just on the edge of this district, on the Prinsengracht canal. If it’s culture you’re interested in, the Jordaan is where you’ll find it. Along with the Anne Frank House, pop into the Noorderkerk – a 17th-century historic Protestant church that first opened its doors in 1623 for working-class residents. Or stop by the Woonbootmuseum, featuring life on a houseboat, and the Pianola Museum – which showcases this remarkable instrument at play. As you take a leisurely stroll (or bike ride!) along the city’s picturesque canals, be sure to browse the colourful shops and galleries. Along with its food and culture, Jordaan is also best known for its charming boutiques, incredible locally-owned stores and unique art galleries and studios. Regardless of what you’re interested in, there’s plenty to do, see, experience and enjoy in Amsterdam’s historic and bustling Jordaan District. All you have to do is start exploring.